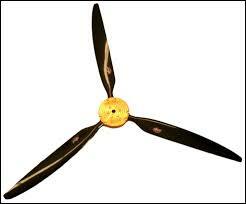 Bolly propellers are a product of over 25 years experience in design and manufacturing of carbon composite propellers. All components manufactured in-house by Bolly Aviation in Australia. We proudly bring Bolly products to the USA, and also ship them worldwide! 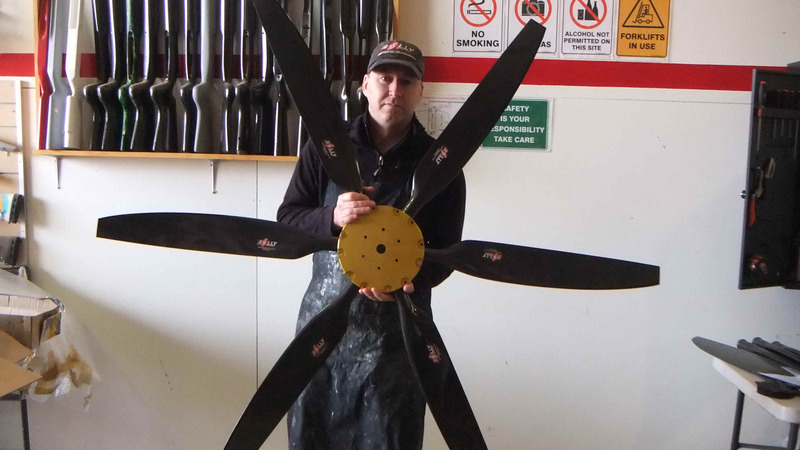 We offer Bolly Optima Series 3, Bolly Brolga Magnum and Bolly Brolga Sports propellers, including all replacement blades, matching spinners and hubs, for 2 to 6 blade propellers. They Run Quieter, Smoother & Spin Up Faster ! All Bolly Blades Are SOLID, Using a Structural Matrix of Epoxy Resin and Cabosil (Q Cells) Silica Glass Miro-Balloons Core. This Core Is Internally Rigid, Solid, Durable And Strong, But Light-Weight. No Soft, Squishy Foam Core! The Bolly Optima Series 3 (BOS3) propellers are ground adjustable allowing the blade pitch to be altered to suit your needs, having a substantial 38mm blade root shank. All Bolly 2,3, 4, 5 & 6 blade propellers are sold as digital weight matched component set and are well within the Mass Moment of Inertia limits for Rotax gearboxes, unlike some common carbon fiber sport propellers.. Performance is supreme, with silky smoothness at high efficiency levels. Bolly Optima Series 3 propellers run much quieter than Warp other props due to their designed shape and construction, and come standard with an efficient tapered-tip feature included at no extra cost. Rated for up to 125 HP in a 3-blade configuration, a Mach 0.8 tip speed limit continuous for cruise power setting is suggested. Use with a belt reduction or gearbox, 2-stroke, 4-stroke or Wankel engines and electric motors. NOT for direct-drive piston engine use, unless an electric motor or Wankel rotary engine. Bolly Optima Series 3 Blades come standard with the Dura-Tuff urethane leading edge protection, which is about as hard as "roller blade wheels", provides excellent protection against sticks, stones, birds, grass, weeds, muffler springs, nuts/bolts, sunglasses and water. This prop is also excellent for use on airboats and hovercraft. Rounded Blade Tips now available for the "War Bird" look on the 75% scale Titan T-51 kit plane, and others ! The Bolly Optima Series 3 Blades are ground adjustable to the required pitch and engine load. Bolly has optimised the design to allow for this. As with all props they are at their most efficient at one optimal pitch setting, and it is this setting that we quote. Set the blade pitch to load your engine at the RPM you want at full throttle The actual Blade pitch setting is your choice. All Bolly propeller blades fit all Warp Drive propeller hubs. All BOS3 Hubs are CNC machined from only the best aviation grade 7075 T6 series alloy plate (not a low-cost casting) and treated for corrosion resistance, hence the gold color. The hubs feature a blade grip pattern that is far superior to a smooth surface, it has more grip surface area and the blade pitch is held rigid when the hub is tightened. Hubs to suit the 75mm PCD bolt pattern, ie many Rotax, Hirth etc are available in 2-Blade, 3-Blade and 4-Blade. We also have hubs for most other common bolt patterns such as Rotax C box (100mm PCD), some Subaru’s (4 inch / 101.6mm PCD) and to suit Rotax 912 / 914 (old and new with rear face drive stud holes) and SAE1 & 2 patterns. Note: Overall propeller diameter may vary depending on the hub used. For example a 72" diameter may vary to 70" in a Bolly 912 hub, 71.5" in a 2-Blade or 3-Blade 75mm PCD hub or 72" and 74" in Optima 4-Blade hub. The following terms are used interchangeably and are all the same item: Bolly Optima Series 3 and BOS3. The New Bolly BOS3 4X hub makes up to a 74" prop, 101.6 mm bolt circle for the Rotax 912/914 engine. Standard Propeller diameters are 56", 62", 66", 68" or 72" LH or RH, plus custom diameters to fit. 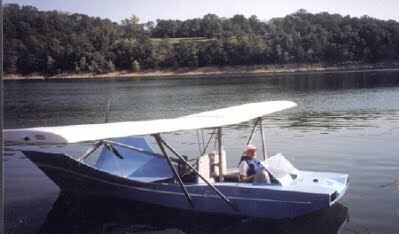 Protect Your Rotax Gearbox from Heavy Propellers--Watch this Short EAA Video- Then Buy a Bolly! We Ship Bolly Props World-Wide ! *NOTE: The BOS 3 propeller kit INCLUDES standard prop mounting hardware, faceplate/washer plate and engine mounting bolts, with no extra cost. We need the details of your engine and gearbox etc, so we may provide the correct hardware. All Bolly Brolga and Bolly Optima Series 3 Blades fit Warp Drive Propeller Hubs! Save your Rotax Gearbox! Rounded & Painted Blade Tips now available for the "War Bird" Look ! These magnificent hubs are truly works of art. CNC machined into 7075 alumiuium plate and "gold" anodised for a great look and corrosion protection. Bolly provides these hubs a lifetime warranty. *NOTE: The NEW BOS3 4X hub provides up to a 74" diameter due the the hub diameter compared to BOS3 Hub 4, and has the Rotax 101.6 mm bolt pattern drilled. Use in a smaller diameter as needed to fit your application when using the Rotax 912/914 engine, pusher or tractor. Bolly Brolga (Magnum, Sports) blades also fit this hub. 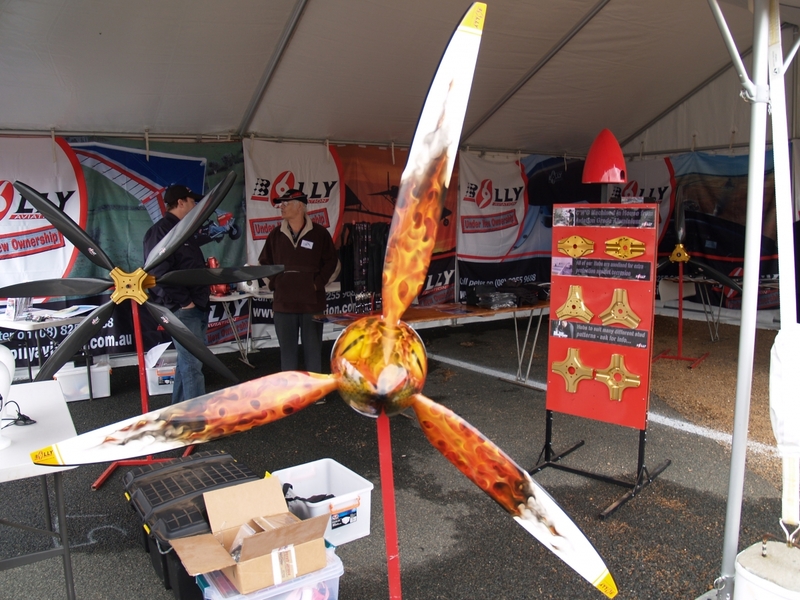 Standard Brolga Propeller overall diameters are 56", 62", 66", 68" or 72" LH or RH, plus custom diameters to fit. All Bolly blades fit all Bolly hubs. The Brolga Sport and Brolga Magnum are a lower-cost, high performance, ground adjustable propellers with many advantages: Either of these propellers may be used on engines up to 125 horsepower output, including the Rotax 912 or 914 engines, Subaru and similar 4-stroke engines using a gear box or belt drive. They are not for direct-drive engine use. Bolly Brolga (and BOS3) propellers run quieter than Warp Drive and other props due to their designed shape and construction. This prop is also excellent for use on airboats and hovercraft if using the Brolga Magnum blades with Dura-Tuff leading edge. All Bolly 2,3, 4 and 6 blade propellers are sold as digital weight matched component set. All Bolly blades come standard with an efficient tapered-tip feature included, a $85 per blade option for a Warp Drive propeller. 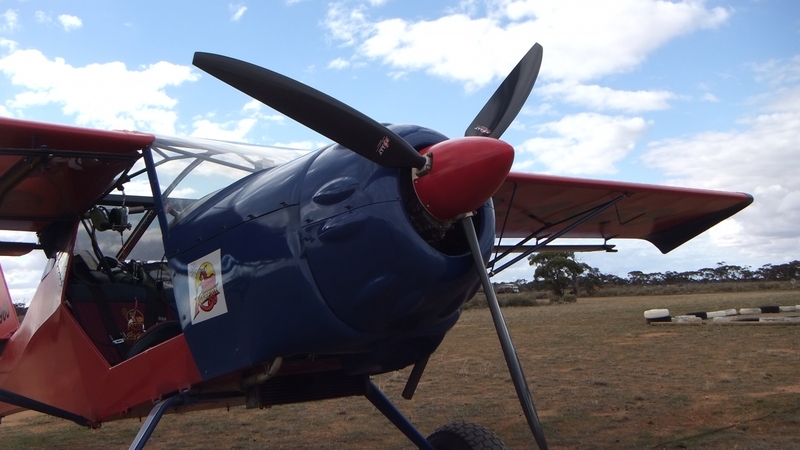 The Brolga Sport Propeller: The Brolga Sport propeller has a similar cost to low end propellers, but are lighter and spin up much faster when throttle is added. The blades are very rigid, made of carbon and glass fiber cloth with no extra leading edge protection. (but this is an option by selecting the Magnum blades). The Hub is a round, machined aluminum alloy and anodized gold. This hub is a little heavier than the Magnum and Bolly BOS3 hubs. Select the Magnum hub to save a little weight. The Brolga Magnum Propeller: The Brolga Magnum is the next step up from the Sport Propeller and has a similar cost to other props with extra leading edge protection, are very rigid but are lighter, and spin up faster when needed than heavier props. The Magnum propeller has the same blades as the Sport but has Dura-Tuff leading edge protection built-in as standard. Choose this blade if operating off water or from dirt strips or from sandy beaches. The Dura-Tuff urethane leading edge protection is nearly as hard as "roller blade wheels", provides excellent protection against sticks, stones, birds, muffler springs, nuts/bolts, sunglasses and water. The Magnum uses the Sports hub design but is further machined to make it lighter without sacrificing strength. 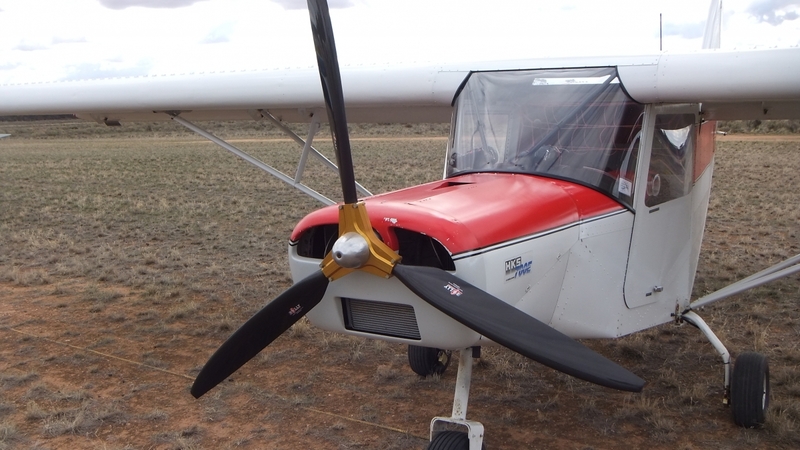 *NOTE: The Brolga propeller kit INCLUDES standard prop mounting hardware, faceplate/washer plate and engine mounting bolts, with no extra cost. We need the details of your engine and gearbox etc, so we may provide the correct hardware. Bolly props run much quieter than Warp Drive and other props due to their designed shape and construction ! ALL Bolly Brolga and Bolly Optima Blades fit ALL Warp Drive Propeller Hubs! We offer the Bolly Kevlar reinforced, all-glass composite spinners with matching backing plates, all finished in white polyester gel coat, with blade cutouts, ready to install on your Bolly propeller. Bolly Spinners were designed fully in-house which complements our full range of hubs and is sure to impress. Available in 240mm (9.45 inches OD) and 265mm (10.45 inches OD). 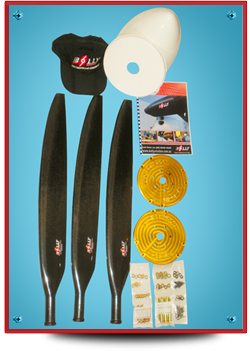 Just $295 USD, or $285 USD when purchasing any 2, 3 or 4 blade propeller. Included in the spinner kit is the spinner dome, backing plate and all mounting hardware. 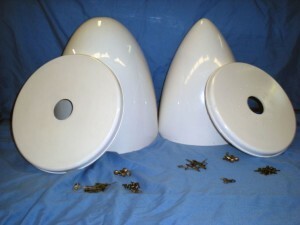 The Bolly spinner is "ready to install" with all cutouts and fitting completed with precision. 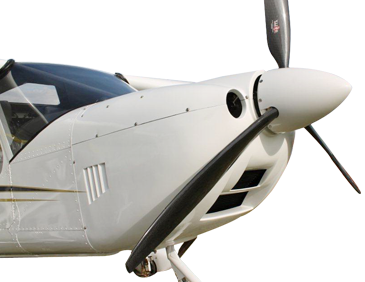 Blades run much quieter than other props due to their designed shape, airfoil and construction ! The Bolly Optima Series 3 (BOS 3), Magnum and Sports Propeller Blades were developed using computer design techniques, CNC machining and are manufactured from a variety of top quality raw materials, primarily Carbon Fibers of several weaves and Epoxy Resin. There are also glass fibers used for extra leading edge impact protection and Aramid (Kevlar) fibers for surface tear resistance. The combination of all these materials, and blade shape, delivers OPTIMUM strength for weight, with high efficiency. The use of a low density, but very hard, stiff SOLID composite core material (a mixture of epoxy resin and Cabosil silica micro-ballons) helps reduce blade weight, noise, vibration and blade resonance issues. Replacement matching blades are shipped withing 48 hours, if one or more of your blades are damaged. Our blades are an exact fit in all Warp Drive propeller hubs. Save your gearbox ! 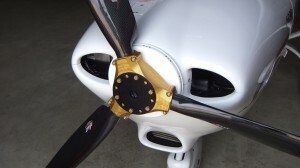 The Bolly Dura-Tuff propeller leading edge has been developed from hardened urethane material made an integral part of the blade leading edge to provide additional protection when prudent against water, gravel, stones and other foreign bodies that are occasionally ingested into and damaging to propellers. It has the toughness of roller blade wheels. It is a great value, in effect eliminating leading edge repair and the servicing of add-on urethane leading edge tapes. Dura-Tuff comes standard on the Bolly Magnum and Bolly Optima (BOS3) blades. Set the blade pitch angle to fully load your engine when at full throttle, either up to the engine redline rpm, or up to 100 or 200 rpm below the engine rpm redline, when at full power. If for an aircraft, set the maximum full power rpm for when flying straight and level at your typical cruising altitude. If for a boat, set blade pitch for when up on plane (or as fast as the boat can go) in smooth, calm waters at full throttle, at or just below the engine redline. Obviously you will need a tachometer connected to your engine. This procedure applies to ALL engines turning propellers to produce maximum THRUST using the available engine power you have! This also makes your propeller act as an rpm "governor" for your engine, limiting full throttle engine rpm to its maximum safe setting. 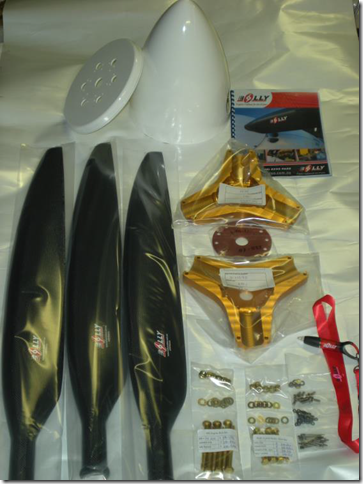 Complete Bolly Airboat Propeller Packages Ready to Go ! Or pay by Check in the USA ! Use TransferWise To Securely Pay for Your Order and SAVE Currency Conversion FEE ! NOTE: Our Overseas Customers paying with foreign currency will not pay high bank wire transfer fees or any currency exchange commissions using TransferWise services to pay for their orders !! WE use them to pay our own overseas suppliers, saving us a lot of "wasted" money !! Click HERE to sign up and receive a FEE FREE payment transfer from us (Ron) ! Then, Pay for your order with MC/Visa credit or debit cards or pay by bankwire to TransferWise. This is far less costly than using PayPal, Western Union, MoneyGram, a traditional bank wire or a credit/debit card payment direct to us, or to any other vendor! WE will not charge you a 3% fee if you use a credit/debit card to pay us using TransferWise, nor will TransferWise, nor will your Credit/Debit card issuer! "The Bolly blades are considerably lighter than the Warp Drive blades, so the rotational inertia is noticeably less. This makes it smoother running, and considerably less jolt on start and stop. The blades are wider at mid-span and have a more rounded shape for smooth airflow and impoved efficiency. The 'Dura-Tuff' leading edge protection is a heat-cured polyurethane, moulded into the leading edge of the blade. It’s resilient and very effective protection against chipping. The Bolly hub also uses the Rotax 101.6mm bolt pattern and drive lug system, particularly suitable for the 100hp engine. It's very nicely machined, solid, and attractive. News : Latest overspeed testing has gone to Mach 1.01 tip speed (for proving the DuraTuff leading edge integrity). 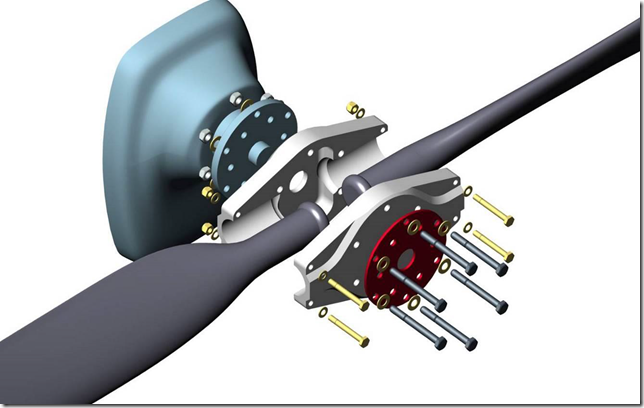 Also, Bolly propellers allow users to operate well within the mass inertia limits of the Rotax gearboxes A,B, C and E, unlike some popular but heavier sport propellers. The Bolly BOS3 68 (left and right hand versions) in our standard hub (66" 3B prop) have been certified for use in the Airborne XT series of Trikes, with Rotax 912 or 582. This entailed, amongst other things, over speed testing at mach .97 tip speed using every bit of power from a 200hp engine – an awesome experience that has given us enormous confidence in our product. And then there was the 10 ton pull test + more. ALL GOOD ! Trike with Rotax 582 3.47 gearbox using 68" R/H blades in a BOS3 – 3B hub, a perfect combination on Airborne Edge machines, winning rave reviews from the many who are using this combo. Extensive Trike testing has shown our props are suitable on all Rotax 912 / 582 / 503 powered trikes from slow to fast Trike Types. Sapphire. The most recent tests have been the BOS3 53 x SR as a 3B prop, (trimmed slightly in diameter to 60") for use on the Sapphire. Initial feedback is exceptionally good. We are waiting for a full report from Steve Dumnsey of Sapphire Aircraft..
Savannah / Lightwing etc with 100hp Rotax 912S is great when using the BOS3 72 S R blades in a BOS3-3B hub. True size 70" 3B, or alternatively if ground clearance or cruise speed are priorities – the same but using the BOS3 68 SR blades (true size = 66" 3B). Lightwing / Rans / Skyfox / Gazelle etc with Rotax 912 using 68 S R blades in a BOS3 3-Blade hub, depitched. True size is 66 3-Blade. Awesome smoothness. Lightwing (or similar) with Rotax 582 2.62 gearbox using 68 S L blades in a BOS3 3-Blade hub, depitched. True size is 66 3-Blade. Can also be used as 2-Blade with slightly more pitch. Lightwing (or similar) with Rotax 582 / 532 2.58 box using 68 S L blades in our BOS3 2-Blade 75mm PCD hub. Depitch to 18 degrees at 22" radius. True size is 67.5 2-Blade. The Cobra Arrow 108hp Subaru belt drive is using 72 S R blades in a BOS3 3-Blade hub, pitched up. Awesome performance, we credit the prop, Tom credits the airframe. Both win. Leon's FREE 30 Foot+ Catamaran Sailboat/Power Boat Plans--Very Easy to Build !